In honour of Emirati Women’s Day, marked annually on August 28th, StepFeed is highlighting 17 UAE nationals who are setting prime examples for innovative ideas, programs, and inspirational messages of hope for the next generation. Read on to discover some of the most inspiring women in our country, from the Chairwoman of Abu Dhabi’s leading media company and the Managing Director of the World Expo 2020 Bid Committee to the UAE Minister of State for Happiness and the UAE&apos;s first-ever female pilot. Her Excellency Noura Al Kaabi is not only the UAE Minister of State for the Federal National Council Affairs, but also the Chairwoman of twofour54, the Abu Dhabi-based media free zone that provides production facilities, training, and business-support services to the capital’s media industry. Noura is also a board member of the UAE’s National Media Council, Image Nation, and Abu Dhabi Sports Council. 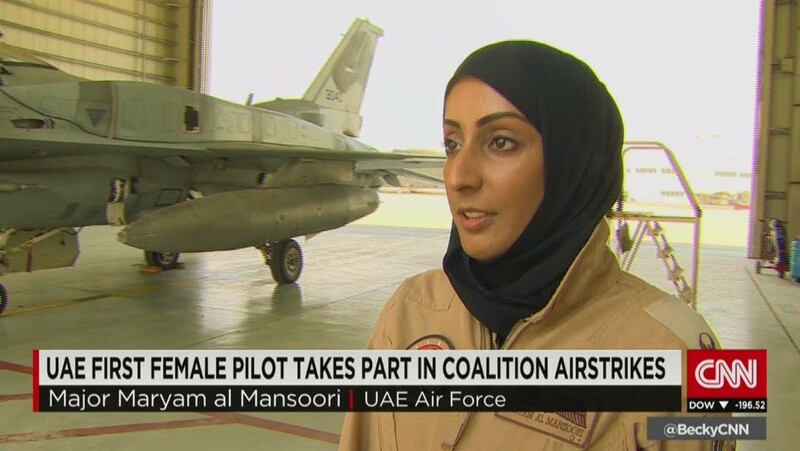 Mariam Al Mansouri was the first female fighter pilot in the UAE. She led a strike mission against ISIS last year, making headlines all over the world. She also served in the army before starting her flight training and received the Mohammed bin Rashid Pride of the Emirates medal for excellence in her field. Sheikha Lubna Al Qasimi is the UAE&apos;s Minister of State for Tolerance and was previously Minister of International Cooperation and Development. She was the first Emirati woman to receive the Clinton Global Citizen Award. Sheikha Lubna was also the first-ever female minister in the UAE. Her Excellency has successfully developed the cargo system at Dubai Airport, and founded the Middle East’s first business-to-business online marketplace, Tejari. Since 2007, Fatima Al Jaber has held her position as COO of the family-run Al Jaber Group. Fatima has presided over some of the UAE&apos;s most iconic construction projects. She has quickly become one of the region&apos;s most influential businesswomen and an outspoken personality for women and young people. Leading by example, Al Jaber became the first Emirati woman to be elected to the board of directors at the Abu Dhabi Chamber of Commerce in 2009. She is also an engineer by training and oversees approximately USD 5 billion in assets and 50,000 workers, while her family&apos;s company serves as the largest private sector employer in the UAE. The real estate industry in Dubai is primarily male-dominated, but Zainab Mohammed spent many years in the sector before she took over as CEO of property developer Wasl. She believes that there are no limits to women&apos;s’ achievements, and also serves as board member of Emaar Industries and Investments. Zainab Mohammed was also the recipient of the Emirates Women Award. Her Excellency Reem Al Hashimi is the Chairperson of Dubai Cares and was selected to be the Minister of State in February 2008. She is also a Board Representative of the Expo 2020 Dubai Higher Committee, and Director-General of the Bureau Dubai Expo 2020. Her Excellency was formerly the Deputy Chief of Mission at the UAE&apos;s Embassy in Washington, D.C., and earned a Bachelor&apos;s degree in International Relations and French from Tufts University. She also holds a Master&apos;s degree from Harvard University. Majida Ali Rashid has received the Emirates Women Award for excellence in Strategic & Financial Planning in 2013. As an Assistant Director-General of Dubai Land Department, Majida proved that Emirati women can achieve and play an important role in developing this country by their dedication and passion towards their work. Dr Raja Al Gurg lives in Dubai and is the Managing Director of the Easa Saleh Al Gurg Group, a board member of the Dubai Chamber of Commerce and Industry, President of the Dubai Business Women’s Council, and board member of the Dubai Women Association. She also became a member of the Dubai Government’s Economic Council and Arab International Women’s Forum. Dr Raja was also listed as the fifth most powerful Arab woman in 2012 and she was selected as the Figure of the Month by the Al Waref Institute for Humanitarian Studies in September 2009. In addition, during the Third Middle East Women Achievement Awards in 2011, Dr Raja Al Gurg was awarded the Woman of the Year Award. Dr Amina Al Rustamani was promoted to be Tecom Group’s CEO in January 2013. She was promoted because of her contribution in developing many strategies that led to the growth of Tecom Business Parks. Dr Amina is widely recognised as one of the Arab world’s most influential and charismatic business leaders, and in appreciation of her effort and contribution to the business sector, she was classified as the “Arabian Business 100 Most Powerful Arab Women" in 2015 and 2016, and the “Gulf Business 100 Powerful Arabs" in 2015. She was also named the “Advertising Person of the Year” by Dubai Lynx for 2015, and “Business Innovator of the Year” by the Asian Business Leadership Forum Awards in 2016. Al Rustamani is known as one of the most powerful women in the Arab world and is in charge of over 4500 companies. Salma Hareb was appointed CEO for Jebel Ali Free Zone (Jafza) in 2005. She became the first woman in the MENA region to head a free zone. In 2014, on behalf of Jafza, Hareb received the Sheikh Khalifa Excellence Award. Salma is one of the UAE’s iron ladies capable of representing her country with her commitment and passion. Salma is now actively overseeing Economic Zones World’s development of a logistics park in South Carolina, USA, Special Economic Zones in India, and a Free Zone in Djibouti, Africa. She completed her education in the UAE and the UK, in the fields of Medical Sciences, Information Technology and Business in addition to a one-year post graduate study in Haematology at the University of Cardiff. Mrs Salma Hareb’s distinctive initiatives and achievements have been recognised with several awards over the years. Dr Amal Al Qubaisi is a former architect holding a Master’s degree and a PhD from the University of Sheffield in the UK. She has been elected as Chairperson of the UAE Federal National Council, the first for an Emirati woman to hold this title since the nation was founded in 1971. 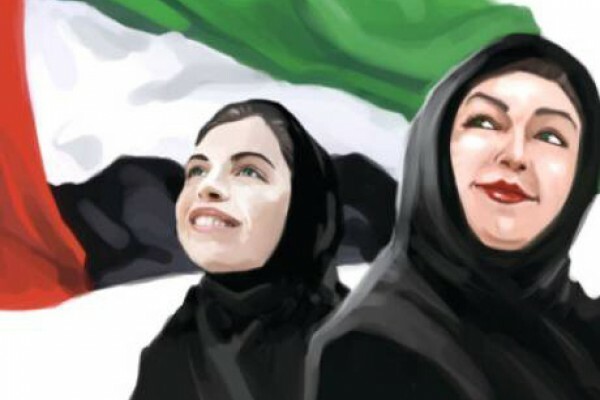 In 2006, Dr Al Qubaisi was the first woman to be elected to the UAE Federal National Council. With a special interest in education and young people’s issues, she was previously Director-General of the Abu Dhabi Educational Council (ADEC). She has also worked with UNESCO on conservation projects. Her Excellency Ohoud bint Khalfan Al Roumi is the UAE&apos;s Minister of State for Happiness. 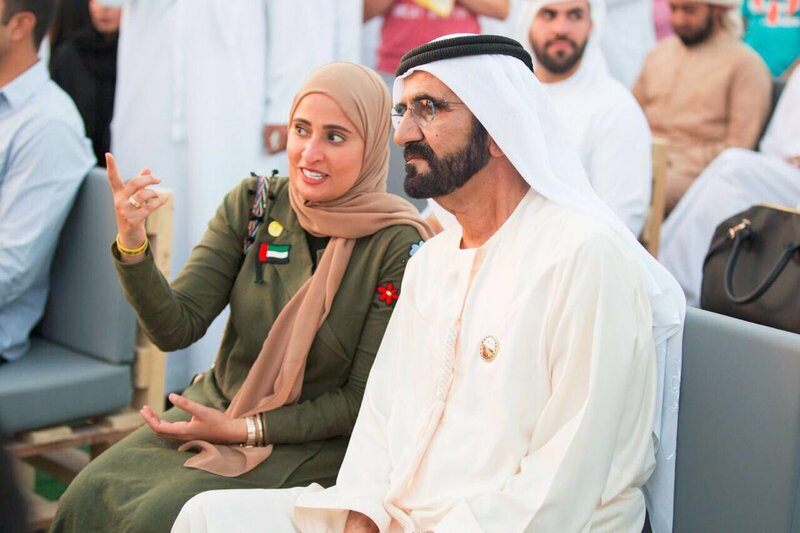 Her Twitter feed usually revolves around a series of happiness-based seminars and initiatives that she’s launching as part of the country’s larger positivity program, which was established by His Highness Sheikh Mohammed bin Rashid Al Maktoum. She is also Vice-President of the World Government Summit Organization and the first Arab member of the United Nations&apos; Global Entrepreneurship Council. Sheikha Maitha is the daughter of Sheikh Mohammed bin Rashid Al Maktoum, Prime Minister and Vice President of the United Arab Emirates and Ruler of Dubai. She is an impressive karate and taekwondo athlete, and has even represented the UAE in previous Olympic games. Nayla Al Khaja is the UAE’s first female filmmaker, and also the founder of Dubai-based film club &apos;The Scene Club&apos;. Nayla is an outspoken advocate for tolerance and homegrown talent and has already won multiple awards for her short films such as Arabana, Malal, and The Neighbour. In 2016, Her Excellency Shamma Al Mazrui was 22 years old when she was appointed as the UAE&apos;s Minister of State for Youth Affairs. She became the youngest minister in the world and her tasks are focused on representing youth issues and aspirations in the UAE. Shamma was born and raised in Abu Dhabi. She received her BA degree in Economics from NYUAD and followed her educational path to graduate with a Masters of Public Policy degree from the University of Oxford in 2015. She was the UAE&apos;s first ever Rhodes scholar. Al Mazrui has also worked in private equity for Abu Dhabi&apos;s sovereign wealth fund, interned at the UAE Embassy in Washington D.C., and served as a public policy analyst at the UAE&apos;s Diplomatic mission to the United Nations. The future for Al Mazrui is truly bright as she has set an international example of youth representation at the highest level. Her Excellency Maryam AlMheiri is the CEO of both, the Media Zone Authority – Abu Dhabi (MZA) and twofour54. She is responsible for leading the overall strategic agenda, aiming to build a sustainable media industry that contributes to the economic and cultural development of Abu Dhabi, as well as positioning the emirate as a regional hub for media and entertainment. Her Excellency is also a board member of Abu Dhabi Media Company, a member of the Abu Dhabi Investment Committee, and the higher committee overseeing the 2019 Special Olympics World Games, which will take place in Abu Dhabi. For 15-year-old Al Mansoori, the sky was never going to be the limit. Alia Al Mansoori’s proposal to study how exposure to space affects the health of living organisms at the cellular level was chosen by a panel of experts as the winning entry for the Genes in Space UAE competition. Earlier this month, the aspiring astronaut saw her Genes In Space winning experiment blast off to the International Space Station. In her trip to the U.S., Al Mansoori and her family have seen the historic launch pad where Apollo 11 took off for the moon and met Chris Ferguson, the commander of the last space shuttle mission. They also had the chance to see inside the Boeing workshops, where the next generation of spaceships, the Starliner, is being built. She has been invited to New York for an interview with the magazine Teen Vogue. Al Mansoori will also travel to Canada for a meeting with Marc Garneau, the country’s minister of transport, who is a former astronaut and a veteran of three space shuttle missions. She dreams of becoming the UAE’s first astronaut. Al Mansoori is confident more young Emiratis will follow in her footsteps and adopt science, technology, engineering, and mathematics-related careers.